For Scooby-Doo, Shaggy and the rest of the crime-busting crew, life is never a day at the beach. So when the Gang go to a resort in Florida for a much-needed vacation, they kick back and enjoy some sun, sand and a sea monster?! When a weird, water creature causes trouble in paradise by stealing precious jewels, the Gang will either sink, or swim to solve the case. Also, watch Scooby-Doo make a splash in 12 more fun-filled summertime episodes full of nautical nuisances. Will the Gang throw in the towel when they face aquatic apparitions, haunted lighthouses, and other oceanic oddities? Pick up this collection today so the entire family can ride the wave of scary fun and adventure with Scooby-Doo! Title: Scooby Doo! 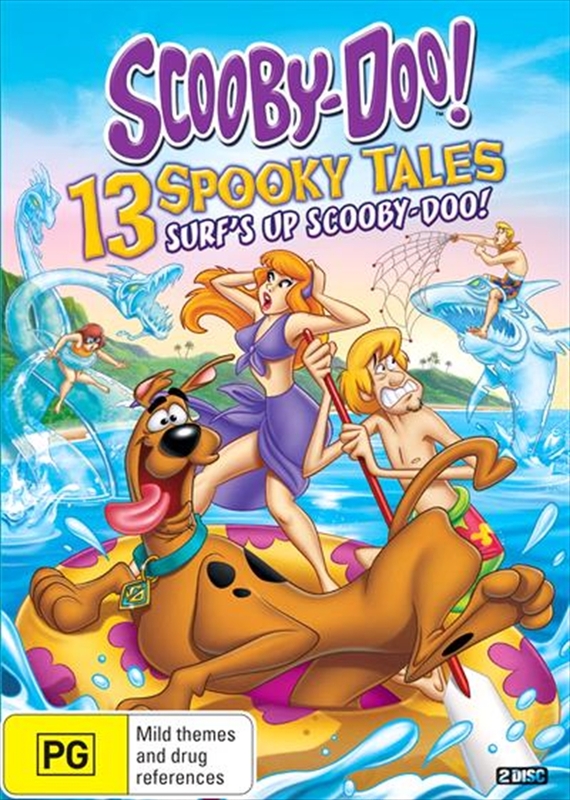 - 13 Spooky Tales - Surfs Up Scooby-Doo!